Today we traveled to Little Rock to be with the family for Christmas. On our way we grabbed 6 more caches in our 100 mile circle. 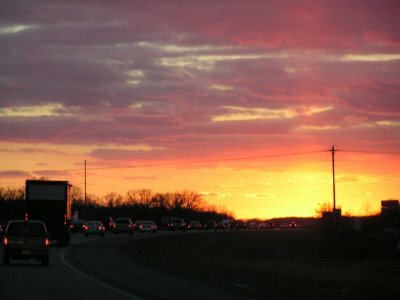 We still got to Little Rock by about 8:00 p.m. We encountered this beautiful sunset when coming into Fayetteville, Arkansas. 5829 Steps Today - 3.21 miles.